My quest for data about what everyone has on their Thanksgiving table knows no bounds. As those of you who have read this blog over the years know, I love the quirks in everyone’s menus for this wonderful inclusive feast- and there are ALWAYS quirks! Some are regional like the white bread stuffing/ cornbread dressing divide that splits the country. Some are cultural like the fried okra served at staffer Bryan’s Thanksgiving meal. To be accurate, this afternoon it is 15 degrees out with a bitter wind off the arctic so perhaps the okra at Bryan’s southern family’s Thanksgiving table is also a regional difference as well. 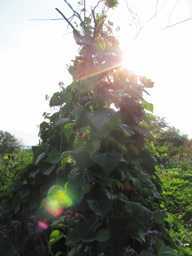 Today, I can only wish the okra in the garden hadn’t been dead for several months, whereas Bryan’s family is still harvesting okra and tomatoes! Anyways, not only are there these kind of regional and cultural differences, some menu differences are just plain inexplicable. This would be the ONLY possible way to frame my childhood Thanksgiving meals which included my mother’s choice of dishes including curried fruit, rice, frozen peas, no pie and no gravy. I never tire of researching this meal! I also can never say it enough that I am glad I married into the Sheehan family where Thanksgiving dinner includes pie AND gravy. Yesterday at a hockey game, I asked the man standing next to me what was on the Thanksgiving table in his childhood. He looked very startled when I asked the question. He wasn’t a complete stranger; he taught both Will and Emily at the same school where Ben teaches. I haven’t quite gone beyond the pale with my research as to accost complete strangers yet, but his expression made me realize I was getting close. After all, weren’t we supposed to be at the hockey game to watch hockey? None the less, he rallied, and soon we found enthusiastic common ground in the lunacy of wasting space on the Thanksgiving table with the New England traditional appetizer of a cut glass dish filled with celery sticks, carrot sticks and canned black olives. I mean YUCK! Carrot sticks on Thanksgiving? This reminds me of the Boston school where Emily is now teaching. Up until this year each class in the school cooked a traditional dish from the pilgrim dinner and everyone in the school enjoyed this feast on the Wednesday before Thanksgiving. This year some bureaucrat at the school decided to make the meal into a more healthful and politically correct version of itself- a meal that involved no food wastage or sugar. Corn muffins are now a 1″ cube of corn bread and turkey, mashed potatoes, gravy and pie are now turkey soup WITH CARROT STICKS. How to buzz kill a perfectly wonderful holiday meal…..This bureaucrat must have known my mother. On a happier note, I was lucky enough this summer to have a whole new group of people to quiz about their Thanksgiving menus: Miguel’s family. 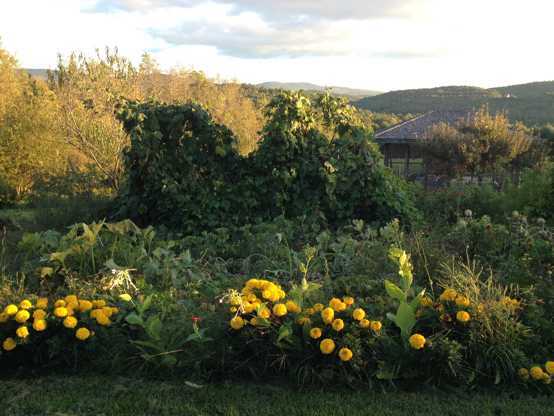 On their trip up from San Antonio to the north country this August, things were a lot more relaxed than the year before when we were all putting on a wedding. As we lounged around watching Miguel and his brother JR cook us one amazing barbecued brisket after another, I asked JR as well as Miguel’s parents about their Thanksgiving menus. Miguel’s mom explained how her mother-in-law had taught her many amazing dishes like tamales and empanadas. She noted that these dishes had been the backbone of the family Thanksgiving ever since. I have had Maria’s empanadas! YUM! Salsa is also a staple. I have learned from Miguel that salsa is a staple at every self respecting meal in Texas. 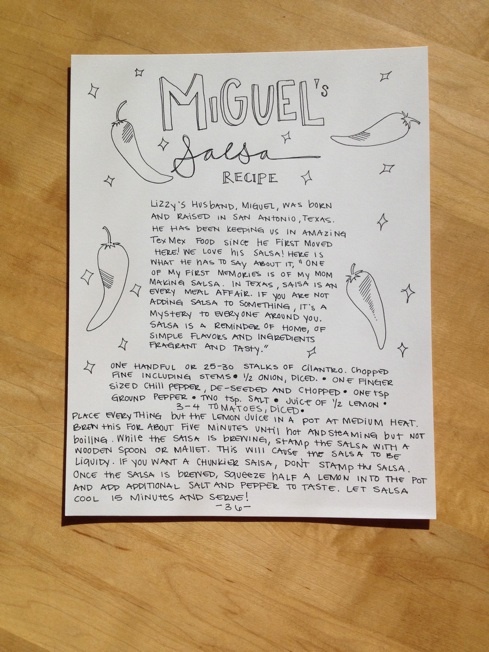 Miguel gave us his family’s basic salsa recipe for the new cookbook so we can begin to learn the art of salsa. Here is the page from the cookbook. This recipe may seem simple, but it is salsa that even people who don’t like salsa really love. Miguel’s brother, JR’s contribution to the conversation was an all time winner for me as he is married to a woman who is Cajun- Not only were there some Tex-Mex twists to their meal but they also serve blackened alligator as well as boudin. Wow. That really rocked my world! Blackened alligator! I have already made two trips to the market to begin to organize for our rather more tame meal. Going now means that the people I pass with equally laden carts still appear to be calm and collected. When I go get the turkey on Wednesday I know things will be a bit frenzied. This is a complex meal to pull off no matter what anyone serves. So to all of you out there who are cooking a Thanksgiving feast, I wish you well as you prepare and serve this wonderful meal. As always, I would love to hear about what you are cooking- Just send your menus to [email protected] ! I won’t hold it against you if you are serving curried fruit. 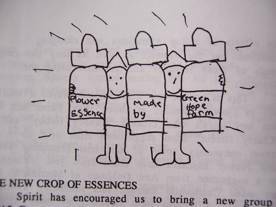 The Angels work so literally and they also work so metaphorically- This is very true of their definitions of the Flower Essences. Sometimes I forget exactly how literal as well as metaphorical their work is. I never expect the Spanish Inquisition. It is one of my defining characteristics- I am always surprised by what everyone else seems to have expected forever. Maybe this is a good cluelessness. This summer, for example, it was probably best not to know that test driving LOVE IT AND LEAVE IT both as a Flower garden and as an Essence was going to take me beyond the theoretical practice of detachment to a fair share of leaving it as well. This was what the Angels literally said about the Essence and the garden, but me, I expected it to be a metaphorical experience. I will spare you the gnarly details of the literal losing game of this season but at this point, I am feeling glad I still have my head attached. Some days I felt that might be lost as well! All in all, when it comes to what the Angels have to say about each new Flower Essence, the descriptions are packed with literal and metaphorical specifics I only see in retrospect. What often happens is one of you calls to ask for help with specific issues. When the Angels suggest Flower Essence old timers in our collection like Borage, I feel a sigh of recognition and understanding. I have been thinking about Borage and working with Borage for thirty years. I usually grasp why they made the suggestion. When the Angels suggest the new Essences, I go to reread the definitions to see why the Angels suggested these Essences. This helps me learn the new Flower Essences’ nuances. Additionally, as we share the new Essences, I find out other things I need to add to the definitions to keep up what I am learning about the Essence from you, your experiences and insights, from my own experience of taking the Essence and from new information the Angels give me as you ask questions. 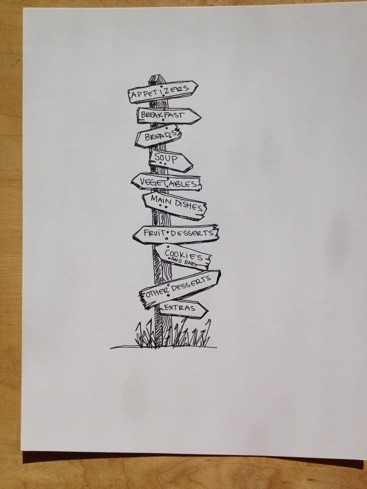 The good news is that no matter how far short my initial grasp of the Essences falls or how flawed my initial translation of what the Angels say into words, it doesn’t seem to stop any of you from going with your own guidance and intuition and gut feelings about what you need. You all seize the day- or in this case, seize the Essences! It is such a reminder to me of every person’s wisdom in regards to Flower Essences and every person’s oneness with the divinity of creation. Here are two examples from yesterday to explain what I mean about learning more about these new Essence friends. 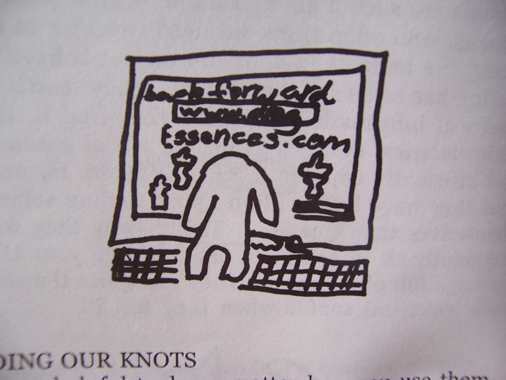 For a young man feeling extremely deflated as well as isolated by a life lived largely playing computer games, the Angels suggested some tried and true Essences including Alignment Garden and All Ego Contracts Null and Void. 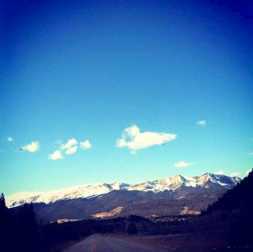 The Angels also suggested the new Colorado Essence Astragalus to help him lift up and out of his preoccupation with these games. I love how the Angels describe Astragalus as loosening the hold temporal pleasures have on us so we can experience more deeply our spiritual identity. Yup, we ALL got one! How wonderful that the Essence doesn’t just help us break free from one compulsive activity to take up another, but moves us towards a connection with the eternal verities of our being. This seems to me much like cutting the Gordian knot. The Angels also suggested Woad to help him find a new purpose beyond computer games and a state of mind beyond the blues. I also loved that the Angels wanted him to consider the Hummingbird Garden to help him find a bead on expressing his creativity and his dreams with passion and confidence. Each generation faces new challenges, and I am grateful that the Angels and the twenty somethings here are bringing forward support for today’s young people. I can’t understand exactly what they face, but the Angels know and the twenty somethings here are also on the job searching for just the right Flowers to help. For a young woman struggling with an eating disorder, the isolation this brings and her harsh self judgments, there were a number of suggestions from the core of our collection but the New Essence suggestions included Woad again, Sneezeweed, Redwood, Queen of the Night, Fragrant Ladies Tresses and Pink Pillar Rose and the Hummingbird Garden. You have already read about my love of Woad, but I still find it worth mentioning AGAIN that this Essence is proving a very versatile source of support. Here, I think it offers the same thing it offered the young man: support to find a new purpose beyond starving herself and also help to soak up the light, wisdom and sunshine within her situation so she can release her blues and come in touch with her true blue self. This Essence is all about radical transformation. Sneezeweed was a straightforward offering to help her with her pressurized self-judgment, an almost allergic reaction to self that has her in a self destructive pattern of choices. Redwood is cropping up for just about everyone. It helps the old feel young beneath their weathered bark. It helps the young feel grounded and know the fiber of their beings. Redwood’s gifts just don’t stop. Maybe this multitude of strengths is because Redwood has such practice in holding itself in form. Whatever the reason, it is a dynamo. Here, I feel it offers to solidify this woman’s experience of herself in a body in a positive way, a strengthening and sheltering way. Queen of the Night lights the path forward with a laser beam of illumination. With this light she gives us courage to keep moving through the dark places on our path. This light also helps us pinpoint exactly what is distressing us. In the nights of our lives, so much is mysterious, but she illuminates our way forward as a flashlight in the pitch dark. Sometimes the brilliant illumination of a narrow beam is all it takes to go forward. I hope it will support this woman to leave behind the dark place of her eating disorder. Fragrant Ladies Tresses brings comfort, “I am not so much a promise of how resolution will look but I am a promise that resolution will arise.” Is there anything more important than knowing this? That mighty forces WILL come to our aid? I am not sure there is. A favorite new Rose in our gardens this year was Pink Pillar Rose. I like the way the Angels talk about this Rose, “obsessive, fanatical or unbalanced emotional attachment to another person, an idea or an activity can become softened and transformed into a balanced, centered and creative love with the support of Pink Pillar Rose.” There is something in this Rose that acknowledges the wisdom gained from suffering through our imbalances. It helps us see that what we’ve learned leads naturally to deeper self kindness and self love. 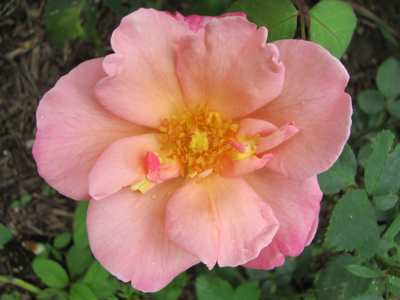 This is a gentle and loving Rose friend but also a strong one. That’s almost always the thing about Roses; they are so loving and offer such total support but they are tough and don’t mess around about their calling. They stick to their loving intentions immune to anyone hassling them and show us the way to do the same. 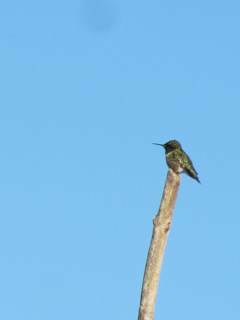 No surprise another twenty something would benefit from the Hummingbird Garden. So even in these two instances, the new Flower Essences showed their versatility, joining the ranks of so many Flowers and Essences offering their healing loving wisdom to us all. In our early years, we would send out a little green covered booklet each fall to everyone on our mailing list. 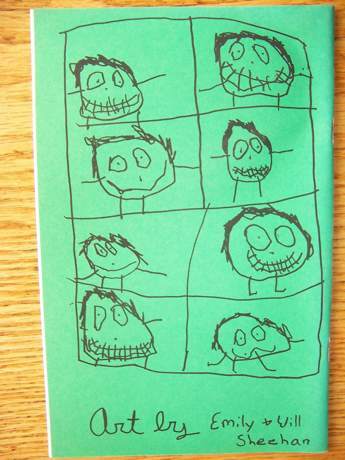 In these greenies, I chatted about what was happening at the farm, and then my kids decorated all the pages. 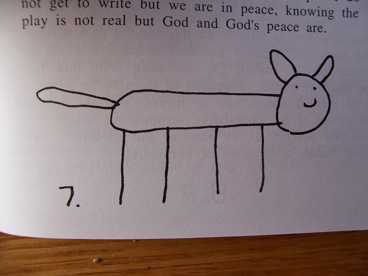 I hate fake kid drawings like the ones always used on TV shows. 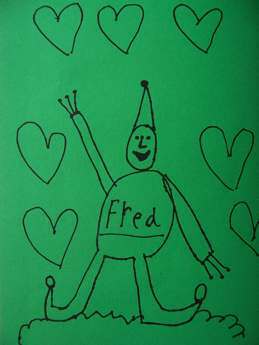 A real kid’s drawing has a different and most wonderful feeling entirely. 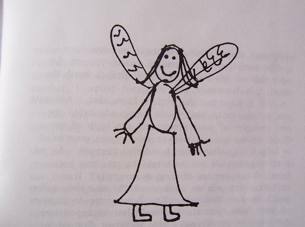 I was so lucky to have little people there to draw flowers, cats, dogs, owls, fairies, elves, gnomes, princesses and angels. Back then, 5,000 of the greenies would get the job done. When the greenies arrived back from a local mom and pop printer, we would print out our mailing list in zip code order. Then we would sort the greenies into zip code bundles. Some staff loved the sorting. William, even as a tiny child, wanted in on the job as somehow it made complete sense to his brain. Lynn Tidman, our long time label writer, loathed the whole process. She was from Bermuda where her childhood address had been as simple as, “Lynn Weaver, Paget, Bermuda.” Nonetheless, Lynn and everyone else would stick a mailing label on each greenie, then I would hand them another zip code sorted label group that I had cut out from the sheets of mailing labels. This PROPER ZIP CODE SORTING was both required to do a bulk mailing and also saved us on postage. I was encouraged frequently by the postmaster general to attend “Sorting Workshops.” This sounded like as much fun as cleaning the grout in the shower, so I did not attend. Instead we leaned on my skills with the scissors. My cut out groups of labels made up several different kinds of bundles. Two categories of bundles got us the biggest postal discount. When there were ten or more greenies going to the exact same zip code this kind of bundle would get a little D sticker. For bundles of ten or more with the same first three zip code numbers it was a lime green 3. These were the most fun to bundle, the least expensive to mail and also revealed to us where our GHF friends clustered. Sometimes we would not know we had an enormous group of GHF friends from the same geographic area until we saw all the D’s and 3’s. We would be in awe that we had so many friends in far off places like North Myrtle Beach, SC 29597 or Sante Fe, NM 87501 or Boulder, CO 80301. Most of the address labels were not in big zip code clusters and would have to be sorted in a rather time intensive way. Our post mistress would give me a list of regional post office distribution centers and the zip codes which each center was responsible for. These centers are called ADCs, short for Area Distribution Centers. Bundling by ADCs was harder to do because the zip codes for centers often jumped all over the place and our computer just spit out the mailing labels in numerical order. Perhaps if I had attended a sorting workshop I would have gotten a better zip code program. I will never know. To give an example of the complexity of sorting by ADCs, our local ADC receives mail for zip codes beginning with 035-037, 050-054,056-059. To prepare greenies for mailing to our ADC I would have to hunt around all the mailing list sheets for all the mailing labels that fit this category and cut them into sections and paper clip them all together. Then happy staff like Lynn would apply the labels to the newsletters and bundle them appropriately. Many ADC had considerably more bizarre collections of zip codes and so the paper clipped mailing labels would have a lot of pieces. These bundles would get a big fat A short for ADC when they were assembled together. We would also give ourselves A’s for a job well done. After several days of sticking mailing labels on greenies and bundling CORRECTLY LYNN, we would get excited about very random things like the wonder of our postal forefathers choosing 01776 for Sudbury, MA or 10000 for NY, NY and 20000 for Wash. DC. Since zip codes go east to west, so did we, and we would know we were close to the end of our mailing journey when we got to Honolulu, HI 96818 and Anchorage, AK 99501. Among other things, we would learn once and for all that AK was Alaska not Arkansas. We had blown through Arkansas DAYS before. By the time we hit Alaska, our office would be piled to the ceiling with CORRECTLY SORTED, THANK YOU VERY MUCH LYNN bundles tucked into mailing sleeves. There was a certain satisfaction to filling the hundreds of mailing sleeves the post office supplied us with. I would have to give the postmistress the tally of how many newsletters we were mailing and exactly what kind of bundles we had made. She would have to weigh the whole mailing to check that I was giving her accurate numbers. It always felt like a party when the numbers jived. Once we actually brought champagne to celebrate with our postmistress! I didn’t see the end of the greenies until it was upon us. 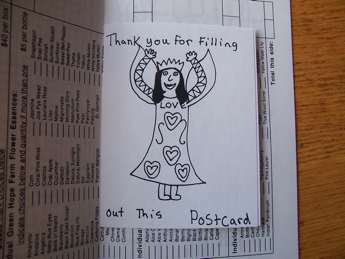 Our mailing list got too large (it is more than 35,000 strong now), Ben’s ONLY conversation with me was about the need for me to start blogging and my other children no longer wanted to draw fairy pictures for me. I still miss the mailings though. We had a fun time getting them to you. Well, every one had fun except Lynn. The kids seemed to even know the names of the Green Hope Farm gnomes. 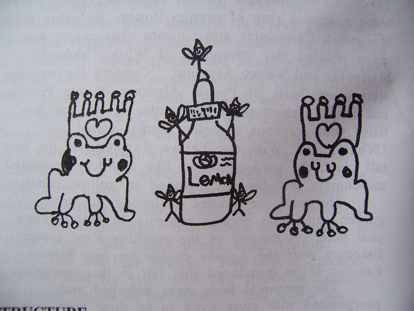 Emily loved frogs so they were well represented. 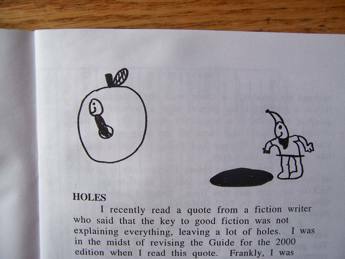 Here someone had fun illustrating a piece on holes. 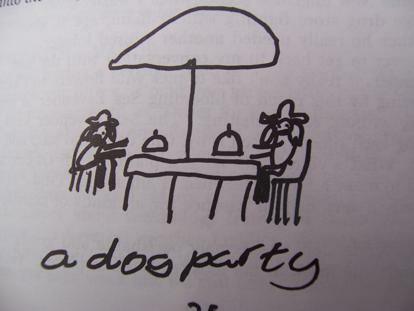 Will got into the illustrating business when he was very young! Lots of Angel art, of course! 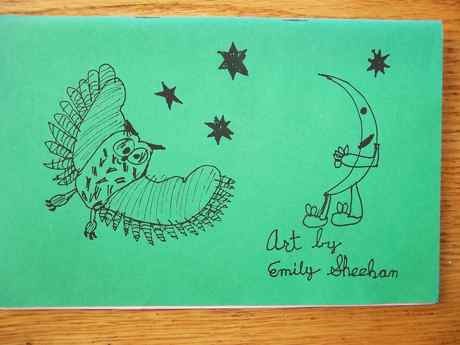 Emily loved owls as well as frogs. 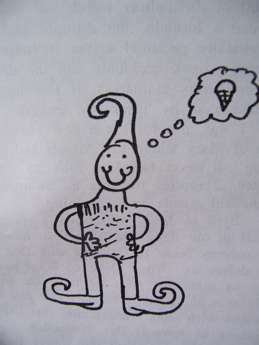 Elves apparently like ice cream as much as Sheehan children. Here’s one perfectly expressing how Essences shine! This was the time we got fancy and put a stamped postcard in with the mailing asking if people wanted to stay on our mailing list. Only problem? We didn’t ask people to tell us their name and address so we got hundreds of cards back saying “Yes I want to stay on the mailing list” but we didn’t know who the cards were from! Should have known the greenies days were numbered when someone drew a dog on the computer! I went to a women’s college. I wanted to go to a co-ed college but I didn’t get in to any of the ones I wanted to attend, so I went kicking and screaming to an all women’s college. My high school had been very crazy. It was in a university town so the school population was a lot of unsupervised faculty children with way too many bad ideas. Going to an all women’s college was restful and restorative. It was deeply innocent in some way that is probably not possible in 2013 but was possible in 1975. No one paid any attention to anyone else’s social life, although there was one exception to this. When I was a freshman, one very proper senior named Irene stirred our imaginations. During the week Irene behaved as if there could be no more exciting an activity in her life than ironing her pinafores. Yes, she wore pinafores. Like Dorothy in the Wizard of Oz. And she ironed them. Often. However on the weekends Irene had an endless stream of extremely attractive men coming and going from her room. The Friday guy would be leaving on Saturday morning just as the Saturday guy was being buzzed up. She timed them so precisely that they almost crossed in the halls as one left and the next guy arrived. As freshman, we never had anything more pressing to do on a Saturday night than sit in the hall and eat popcorn. But with Irene’s bustling social life, this was more exciting than popcorn at a movie theatre. One Saturday night, a young man who had also attended my crazy high school dropped in to see me. My friends and I were baking cookies instead of popping popcorn. For some reason this freaked out my visitor in a big way. He made it clear he thought our harmless baking was weird even perverse. He left as fast as possible but not before he wondered aloud why we weren’t out at some mixer getting drunk on garbage pail punch. What was WRONG with us? Anyways, all these years later, I still don’t know why cookie baking struck him as so creepy and elitist but it did. He now writes for TV shows in Hollywood. I figure I gave him excellent practice for this work since I offered him one of his first opportunities to spin drama from nothing. More recently a college friend wrote a memoir about our college years. We lived in the same dorm for three years, and since we were both English majors, we also took a lot of the same classes. Let’s just say we ate a lot of popcorn together. I don’t know what I expected from her memoir but once again, I was painted into another strange corner. In her present day life as a newspaper columnist, my friend has become known as someone who feels marriage is a prison that stunts women’s growth. In her memoir I was featured as the poster child for this issue, a soon to be stunted friend who was headed for a desperate life in an early marriage- a marriage that would keep her from self actualizing. I have many flaws. My dentist tells me I don’t floss enough and for all my talk about clean closets, I still haven’t tackled the nightmare one filled with all my sewing crap. I still eat too much popcorn and bake too many cookies. But honestly, I feel pretty self-actualized. I haven’t done everything I want to do yet, but I am content with the dreams I have fulfilled. The Angels have this expression, “Dogs but no dogma.” This is how I have always tried to live. I try to go with the genuine not the imposed rules of the social group I am in. It seems to bother people. A lot. I don’t exactly understand why. So I was 18 and there were raging parties just a few miles across the Pioneer Valley at other colleges. Still not sorry I stayed in the dorm and watched Irene manage her men queue. So I could have lived all the eras of my life in a more politically correct order and had some big enormous career before life in the country with Jim and the kids. Not sorry I went with the flow. I know I should end this with a quippy quote, but it’s time to go make some popcorn. Or maybe some cookies. Me circa 1975 not thinking about popcorn. Oh Woad Where for Art Thou? Woad was one of those Flowers I pursued like a love sick thirteen year old. I saw its name somewhere. US magazine? TMZ? My high school year book? Gerard’s Herball? The name rang some bell within me, and I was off to the races. I pursued the plant through seed catalogs and my trusty “Field Guide to Wildflowers”. I searched for pictures online. I was giddy when I landed a seed packet. Why? Why? I had no idea. I just wanted it. Badly. It took two years for my baby Woad plants to mature and blossom but unlike most of my teen crushes, Woad was better than I imagined it would be. Yes, it was tall and gangly but those FLOWERS! When I went to take Woad’s photo my hands shook, but I convinced myself the photos looked dreamy and special. As special as Woad. I could not understand it. Why wasn’t everyone growing Woad? Well apparently everyone HAD grown Woad six hundred no make that six thousand years ago and they were over it. But not me. I was in the first flushes of a crush worthy of my love object. Going by my Woad plants as I worked in the gardens was a thrill. Like seeing the object of my affection across a crowded cafeteria and knowing someday I might actually speak in to him Biology class if I dropped a pencil in front of him and he noticed or we got assigned to dissect a frog together. I even enjoyed saying Woad’s name. Woad. Such a strange name but so interesting. Woad. We were MTB BFF. As you can imagine, here in the office, stuffed as it is with eight zillion bottles of Flower Essences, there are many opportunities to try out the new Flower Essences. 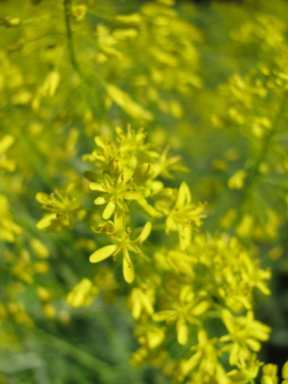 Once Woad was made into a Flower Essence on a glorious sunny day, I was all over it. As I put Flower Essences in my quart canning jar each day, many Flower friends come and go as necessary. But Woad was something I reached for every day. I had no idea why. We weren’t talking yet so I had no notion how Woad was helping me, but I knew Woad was doing something. Something special. Somehow, when I did talk to Woad to get a definition, I managed to keep my description sort of professorial and not too gushy. 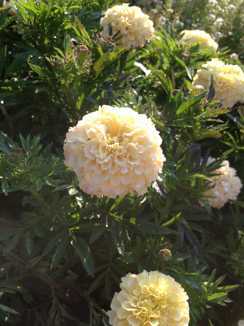 I loved that it’s brilliant yellow sunshine Flowers indicated a strength to chase away the blues. This was especially interesting to me after having read five hundred pages about the Woad industry in medieval Europe where Woad was used to make the one and only blue dye. I loved the drama of a yellow Flower that became a blue dye that also worked as a Flower Essence to literally chase away the blues. How I love when a Flower Essence’s purpose is so deeply resonant with its place in the world. Only Woad had been dumped by the world. In like 1600. This hurt me on Woad’s behalf. How could those medieval folk have abandoned Woad’s blue dye for Indigo’s blue dye? It was like dumping the original crush for the new hunk in town. 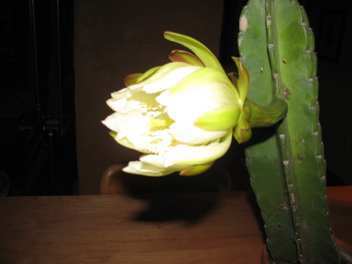 How could they let this Flower go? I didn’t plan on it. But Woad spoke to this too. It said one of it’s particular gifts was to help us find purpose when our previous purpose has been lost to us. As I adjust to my empty nest filled with buzzing iPhones, I too am accomodating a shift in purpose. 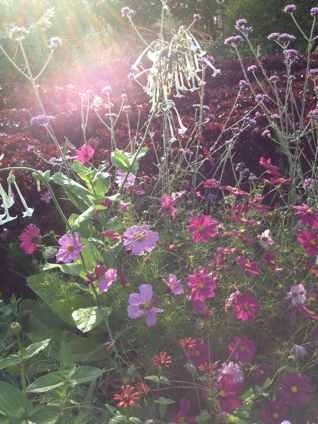 I am so happy that I get to keep working with the Flowers in the gardens and the Flower Essences in the office. This part of my calling gives me a bit of an eternal summer and yahoo for that. But I was definitely looking for other purposes for myself. Especially for the quiet evenings. Maybe it was Woad or maybe it was the combination of Woad and Laura’s Oatmeal cookies that started the wonderful project of this Green Hope Farm cookbook. Whatever the reason, it’s been so fun to have this new purpose. Where earlier I was cooking for hoards of people, now I was writing about cooking for hoards of people in my empty kitchen. Yesterday as Alli and I worked our way through the final edits from the printing press for a press roll beginning TODAY, we snacked on Pumpkin Cake, and I sipped my Woad water. As we were literally handing off the cookbook for good, I needed a new purpose and Woad was on the job. 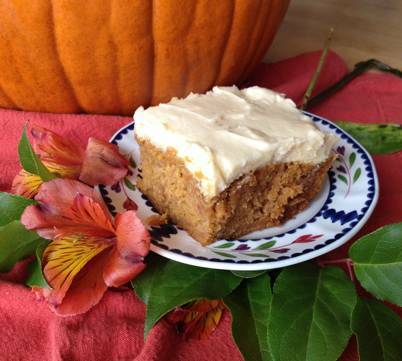 Suddenly we decided to shoot a picture of the cake were eating and post it on Facebook because after all, Pumpkin Cake was a recipe in the cookbook. Oh Woad, was it you that called me to a new pursuit during the wintry month of November when garden chores are scarce? Was it you that whispered, “Food Stylist” in my ear. And you, Woad, be gentle with me. I am probably going to be terrible at this, just like I was terrible at getting the attention of that youth in high school. 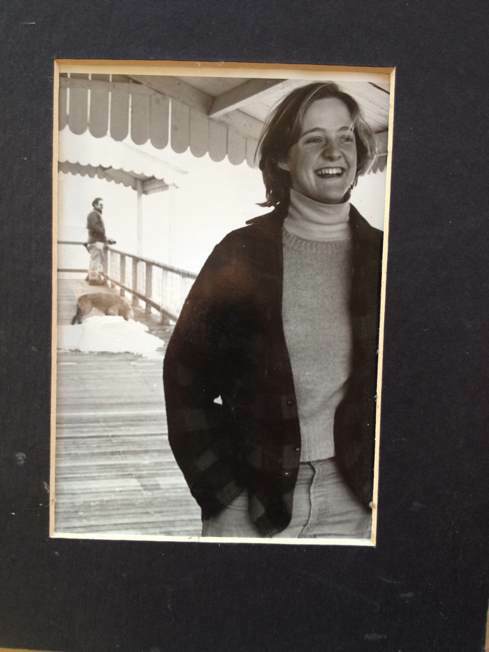 Yes, I DID marry him, but my goodness, it took five years to get a date. How many dropped pencils was that. A lot.